Think one person can’t make a difference? Think you can’t make a difference? Think again. More than a thousand years ago, an Irish holy man named Fintan Munnu started one of the first Christian communities in western Scotland. His chapel gave the present historic village of Kilmun its name. Over the centuries, a place of worship has always graced the hillside where Fintan Munnu—one man—walked, prayed, worshiped, and built a life of service to God. An American, James Piers Patrick, bought an estate on the Cowal Peninsula of Scotland close to Dunoon and planted an avenue of Giant Sequoia trees in 1863. The enormous awe-inspiring trees—now 148-feet high—continue centuries later to draw visitors to Benmore Botanic Garden. One person who made a difference. James Duncan—one man—bought the 120-acre estate in 1870, planted more than six million trees and added paths through the forested hillside. One person. Henry Younger took over the estate in 1889 and added exotic shrubs and trees before gifting the estate to the nation. “Wild Horse Annie” Velma Bronn Johnston successfully campaigned to stop the eradication of wild horses and free roaming burros from U.S. government land. Legislation to protect wild horses and burros was passed in 1971 after Velma engaged school children around the United States to join the campaign to save the animals and stop the rampant cruelty and slaughter that was desecrating herds. Wild Horse Annie died in 1977, and wild horses need prayers and protectors again. You can, we can make a difference again. There are likely thousands of other examples of one person who made a difference…but I just happen to have pictures for these! Whoever you are and wherever you are…you CAN make a difference. Up until a few weeks ago, I thought I was in good physical shape for my age. Then I attempted sit-ups. Some years ago, I could clasp my hands behind my neck and do 50 sit-ups. Unaware that had changed, I confidently clasped my hands behind my neck and did…nothing. I could not even pull myself up one time. Now every morning, I hook my feet under the stair railings and do as many sit-ups as I can. I still can’t do one with my hands behind my neck…but I’m working toward it. Simply because if you don’t use it, you really will lose it. There are a lot of things I would love to lose (like extra weight), but health and fitness are not among them. My inspiration for getting back into shape is native Texan and Bandera rancher Edwina. When she was in her 70s, Edwina suffered a massive stroke that left her unable to move or speak. As she listened to her doctor and her family discuss the fact that she would be totally incapacitated for the rest of her life and unable to live alone, she got mad. When she heard her family talking about selling her ranch and putting her in a nursing home—she got Texas mad! Since Edwina could neither move nor speak, her doctor and her family didn’t know that she could hear them. Edwina focused on her big toe on her right foot until she made it move. She repeated. Over and over, Edwina made one toe move. Then she focused on the other toes, then her foot, then her leg. Imagine her family’s amazement when they walked into her hospital room and found Edwina lifting and lowering her leg! Edwina returned to her ranch home and spent the rest of her life living there on her own. She never drove again, but she ordered groceries and cooked her own meals and cleaned her own house. Once a week I would walk over and mop under the bed and in other hard to reach places. So…I do sit-ups. I can do 10 now easily. Any day now I expect to manage one with my hands behind my neck. Writing is the same way. If I had quit after the first rejection slip, or the second, or number 150—the Texas Miz Mike series would never have been born. Now five Christian mystery-romance-suspense books share the “Bridge” title, and number six will be out before summer. You don’t have to be a writer to be persistent and hang on to your dream. Whatever talent you have—use it or lose it! Jackie also broke records. “O Holy Night,” released in 2010, became the year’s number one best-selling debut recording. She has since won platinum and gold. She is the youngest ever Top-10 debut artist in history. Jackie comes from a strong Christian background and is an Ambassador for Mission Humane, an organization that encourages children to help protect animals. Her full length album “Awakening” was her fifth consecutive number one release on the “Billboard” classical albums chart. She sang at the National Christmas Tree lighting service in front of the President and First Lady. She played the part of Robert Redford’s daughter in “The Company You Keep.” No matter how much money and recognition she earns, she retains her reputation as polite and humble. Scotland’s Susan Boyle appeared in “Britain’s Got Talent” in 2009. Her first album debuted as best selling on charts around the globe. She performed at Windsor Castle for the Queen’s Diamond Jubilee. She continues setting records in the music industry. She supports a multitude of charitable causes. Susan Boyle comes from a strong Christian background and sang for the Pope. The woman who was bullied as a child, told she was learning disabled, and was nicknamed “Susie Simple,” is now worth 22 million. How did they do it? I believe they found the Path of Wisdom and followed it. So, too, in I Kings, Chapter 10:24, “Now all the earth sought the presence of Solomon to hear his wisdom, which God had put in his heart. We all have gifts. God pours into each person He creates some special talent or ability. It is up to us to find it and use it. James 1:5 promises that if any lacks wisdom, they can ask God and He will give it generously. Jackie Evancho was only 10 when she discovered her gift. Susan Boyle was nearly 50. If you are still searching for your gift, ask God. Proverbs 3:5 promises, “Trust in the LORD with all your heart, and lean not on your own understanding; in all your ways acknowledge Him, and He shall direct your path.” I dislike Bible translations that say, “He shall make your paths straight.” God never promises easy. He uses difficult to allow us to build character and enhance our understanding. The Path to Wisdom is not straight and easy – but with God’s direction, it is achievable. Like Jackie Evancho, I knew my gift was writing at an early age. I started writing my first book at 11. Unlike Jackie Evancho, I have not achieved worldwide recognition, which is a relief. I’ve seen her schedule! It would take time away from writing. Like Susan Boyle, I’m a late bloomer having only recently achieved a certain measure of success with my books…after 40-plus years of writing and submitting manuscripts and receiving 150 rejection slips. And like Susan Boyle, I was bullied at school and thought to have a learning disability. I do – it’s math. Out of my six siblings, I was the only one who never made the Honor Roll. I was the only one who ever brought home an “F” on my report card – several, all in math. But instead of believing the “stupid” label slapped on by others, I found The Path of Wisdom. As we journey through 2016, it’s a good resolve to live the New Year without fear. There are 365 “fear not”s in the Bible, one for every day of the year. When I arrived in Scotland from Texas four years ago I was told “Don’t talk about your Christian faith openly because UK folk are reserved and expect others to act with the same restraint. Advice I ignored. Had I blindly accepted the advice to keep quiet, I would have missed both blessings and opportunities to share God’s blessings with others. God has provided occasions to pray with others for healing; the healing of pets, recovery from alcoholism, rescue from depression, mending after the loss of a loved one. Fearing what people might say or think above what God had directed would have robbed the past four years of meaning and blessing. There are other ways to walk in God’s love. The Christian walk is a designer walk. Tell the maintenance person he or she is doing a good job. Thank the post person. Thank the folks who come to pick up the garbage. Compliment a person on his or her parenting skills. Commend a teacher for a job well done. Tell the cashier to have a lovely rest of the day. Smile. If words freeze between the brain and the lips…just smile. Live the New Year without fear. Smile! A smile is the same in every language, easily given and almost always returned. I don’t usually blog about my books unless a new one has just been released. I’m making an exception this week because my first in the Texas Miz Mike series – “Bridge to Nowhere” – is reduced in price. I’d like everyone to know so they can buy it, laugh at Miz Mike’s many “pickles,” and then move on to the other books in the series if they like it. 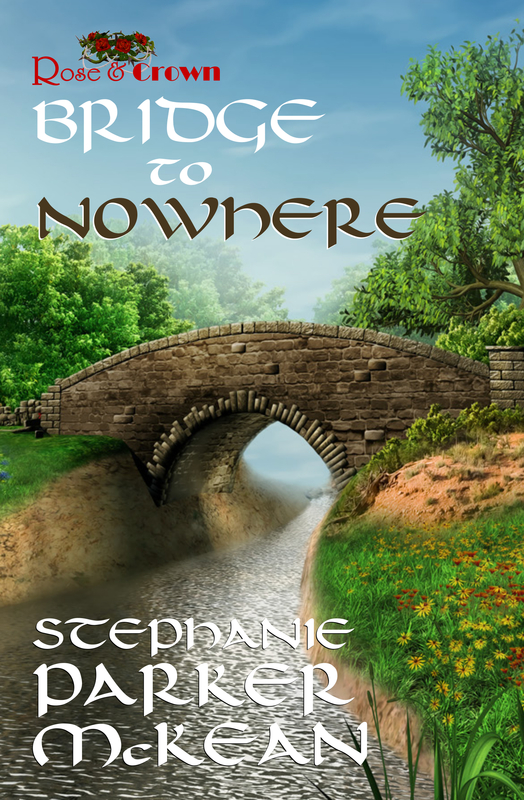 “Bridge to Nowhere” is a Christian mystery-romance-suspense sparkling with humor. “Forty-something” Miz Mike tries to mind her own business, really she does. But how could she turn down the pleas and tears of a lovely young girl who comes to her for help in solving her sister’s murder? Solve it Miz Mike does, along with solving a few minor mysteries along the way, and breaking up a brutal dog fighting ring. But success sports a steep price tag. The killer comes after Mike. Besides surviving attempts on her life, Mike survives the near-death of the romance of her dreams when ex-Hollywood actor Marty Richards (Marty and Mike, M&Ms in her mind just like her favorite chocolate candy) misinterprets her kindness to rescued “misfits” at her ranch as evidence of sexual promiscuity. Then in an event that tests her Christian faith, Mike’s young grandson is kidnapped. Catching the kidnapper and getting the child back seems impossible – even with prayer. Enter Clint Flavors who loves to fish and whose mind possesses the ability to follow hidden, serpentine paths that no one else can follow. Some mock Clint for not being the sharpest tack in the box – but this is Three Prongs, Texas, where the misfits fit and where strange events are near about as common as bucking Brahmas on the rodeo circuit. Clint solves a mystery that baffles the experts. Will evil win? Will good win? Will Miz Mike ever get that first kiss from cowboy hero Marty? You’ll have to read “Bridge to Nowhere” to find out – and fortunately for you – it’s on sale! Eleven 5-Star reviews can’t be wrong!